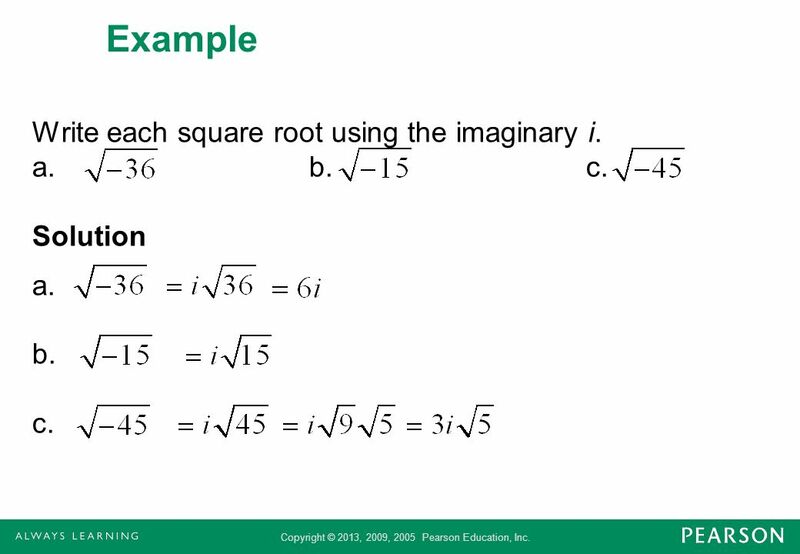 5 Example Write each square root using the imaginary i. a. b. c. Solution a. b. c.
10 POWERS OF i The value of in can be found by dividing n (a positive integer) by 4. 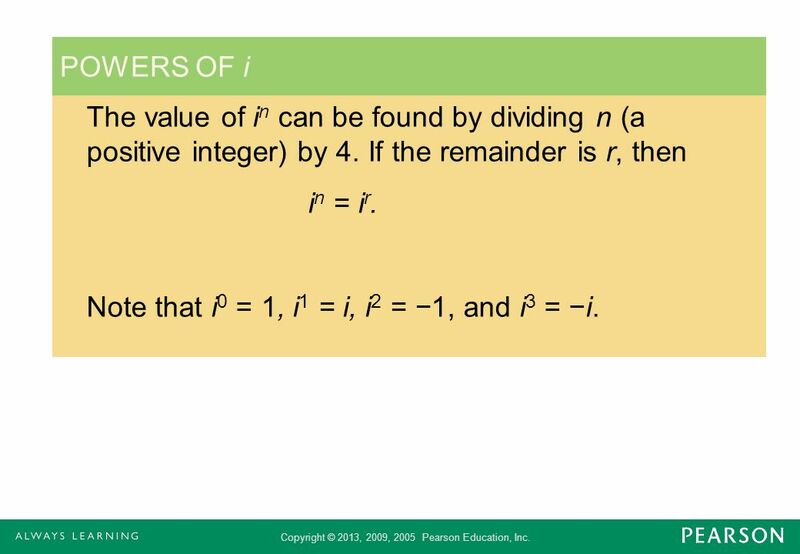 If the remainder is r, then in = ir. 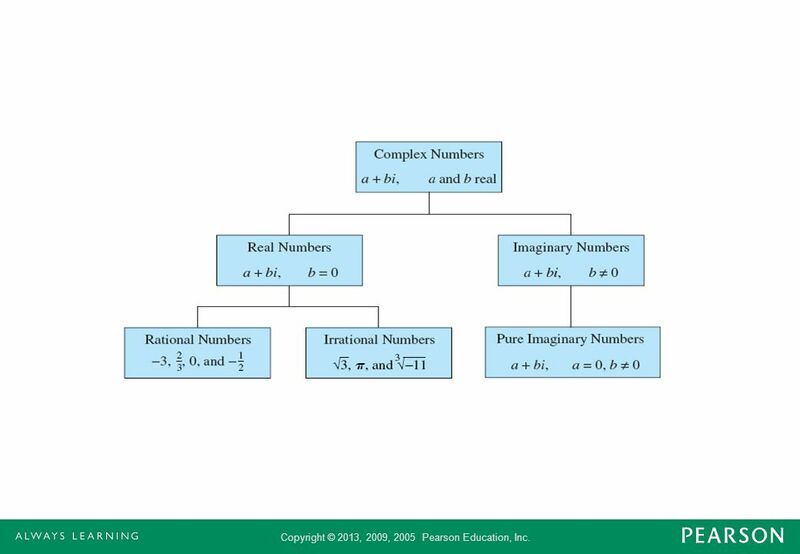 Note that i0 = 1, i1 = i, i2 = −1, and i3 = −i. 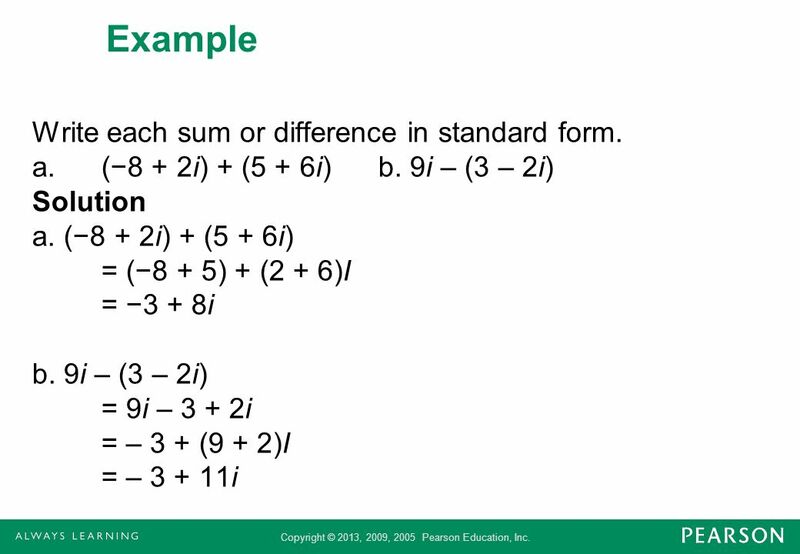 11 Example Evaluate each expression. a. i25 b. i7 c. i44 Solution a. When 25 is divided by 4, the result is 6 with the remainder of 1. 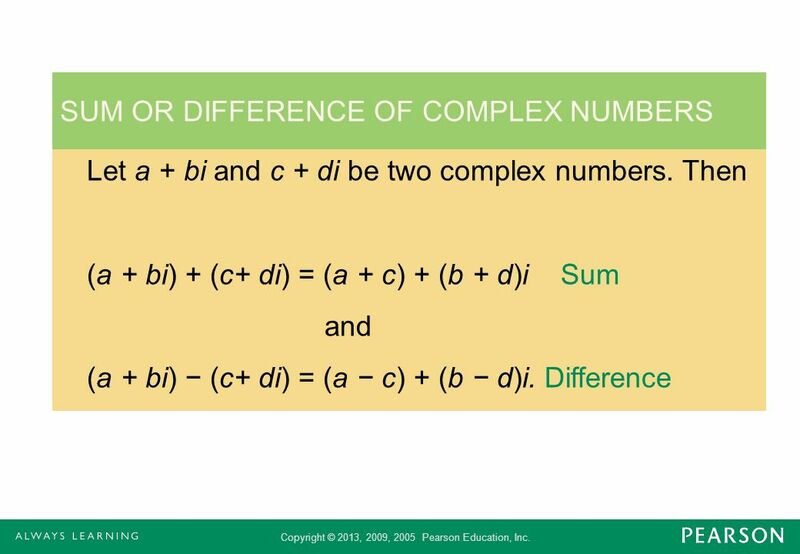 Thus i25 = i1 = i. b. When 7 is divided by 4, the result is 1 with the remainder of 3. Thus i7 = i3 = −i. 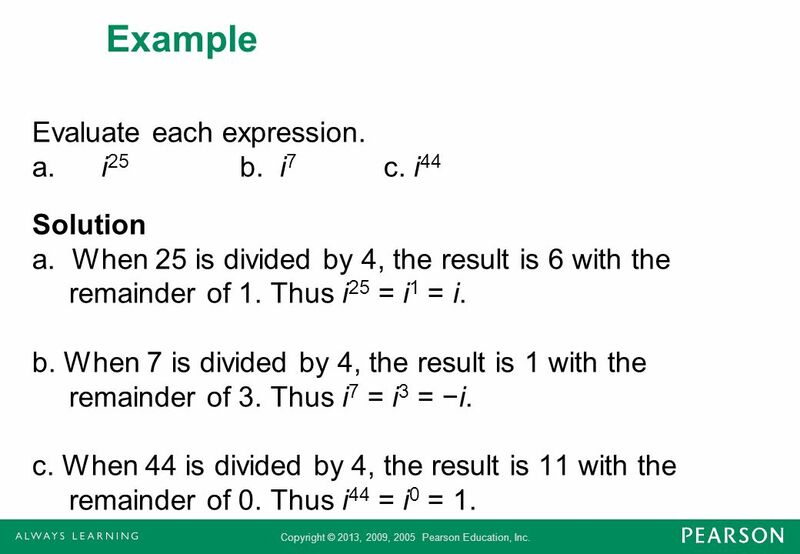 c. When 44 is divided by 4, the result is 11 with the remainder of 0. 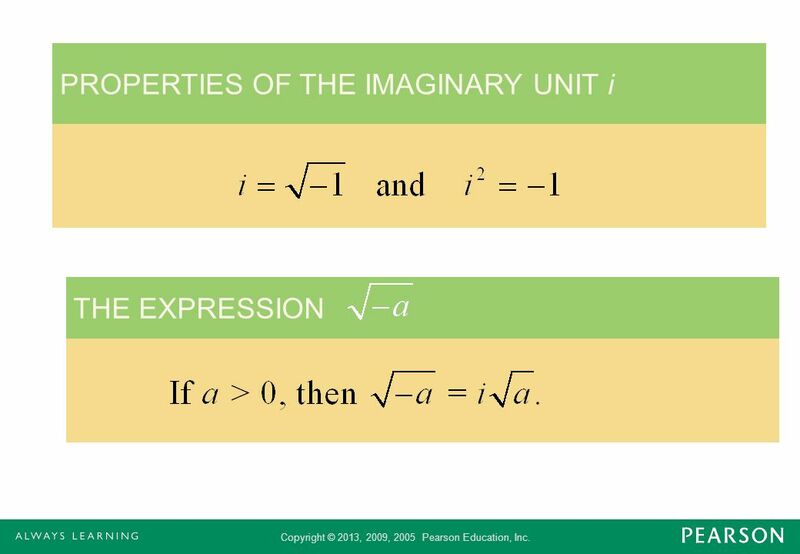 Thus i44 = i0 = 1. 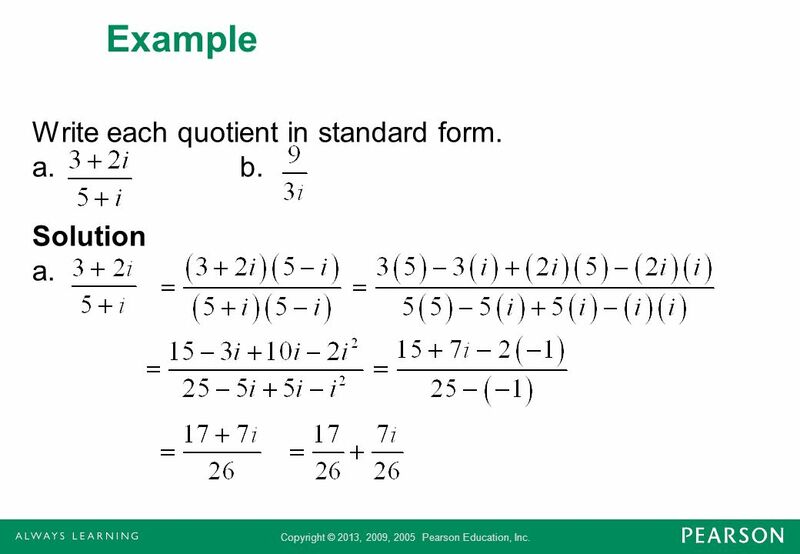 12 Example Write each quotient in standard form. a. b. 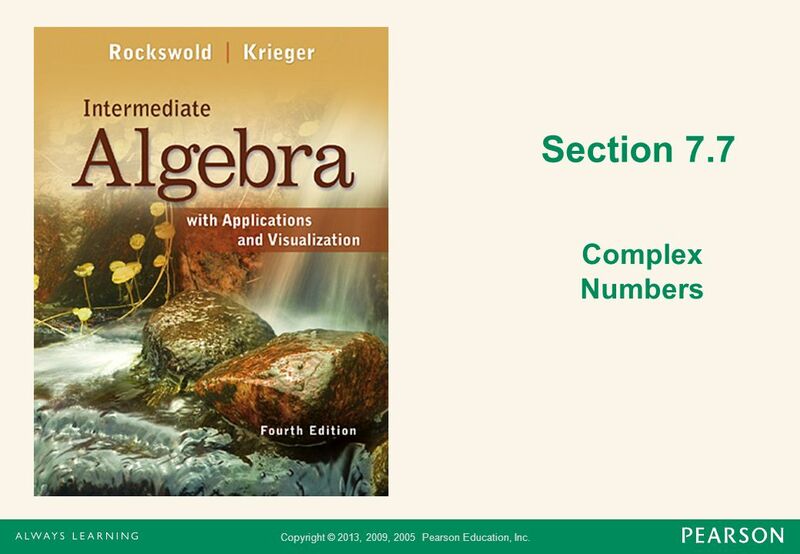 Solution a.
Download ppt "Section 7.7 Complex Numbers." 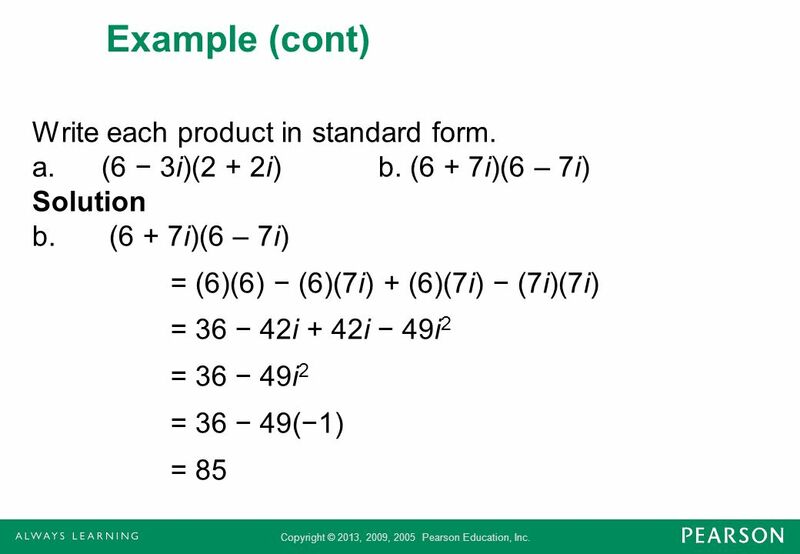 Copyright © 2011 Pearson, Inc. P.6 Complex Numbers. 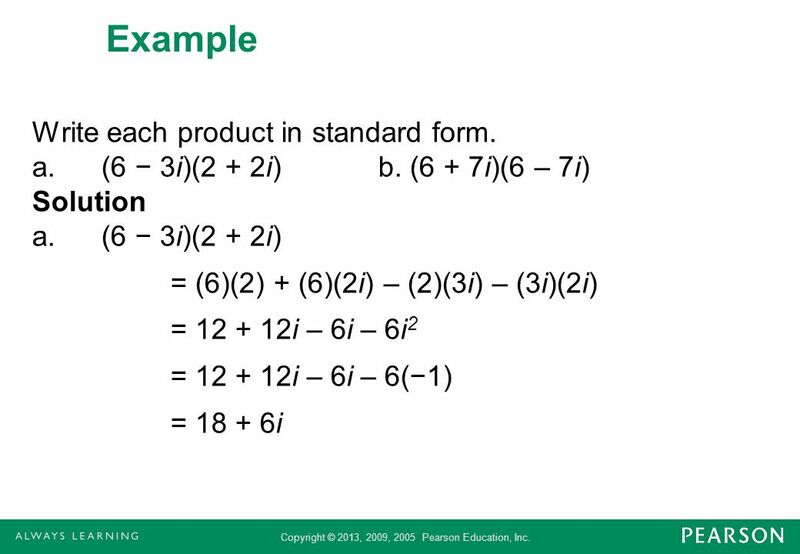 Copyright © 2013, 2009, 2005 Pearson Education, Inc. 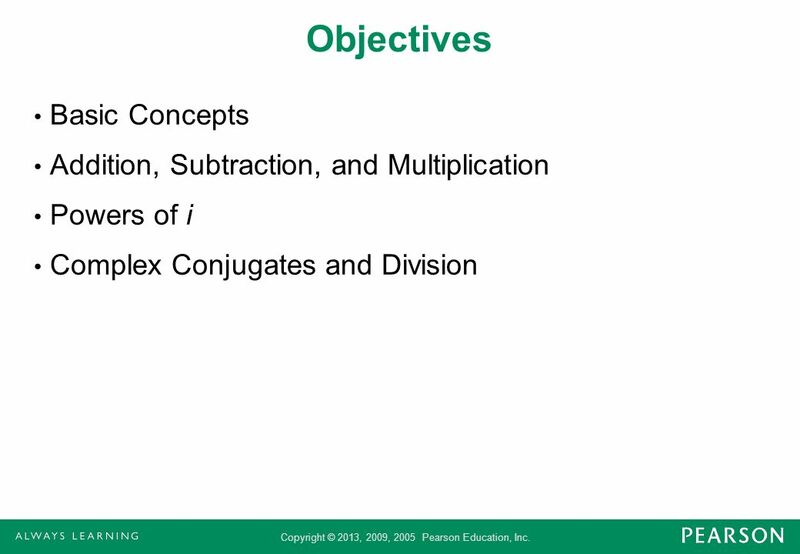 Section 3.3 Linear Inequalities. 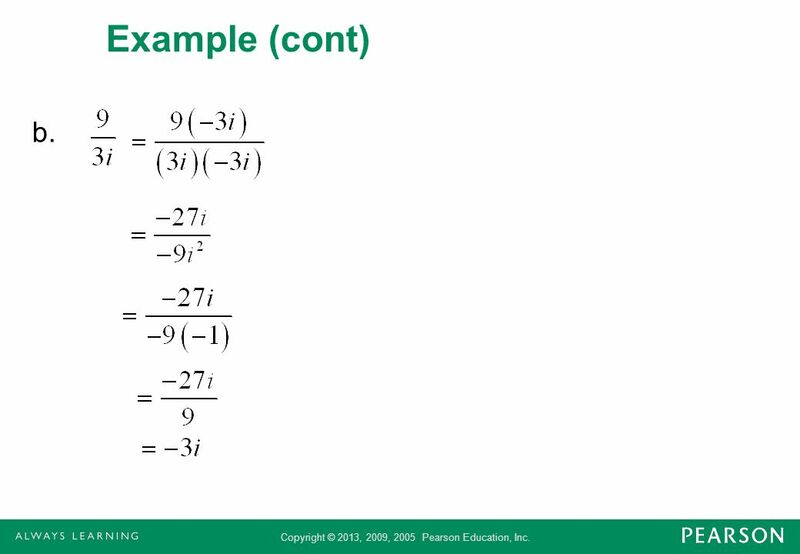 Copyright © 2013, 2009, 2005 Pearson Education, Inc.
5.3 Complex Numbers; Quadratic Equations with a Negative Discriminant.